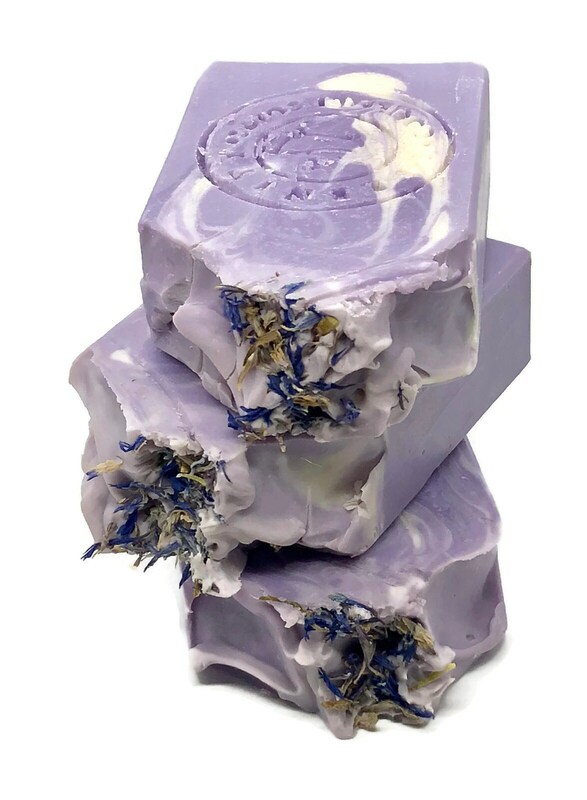 Harmony- a harmonious blend of Lavender and Vanilla. 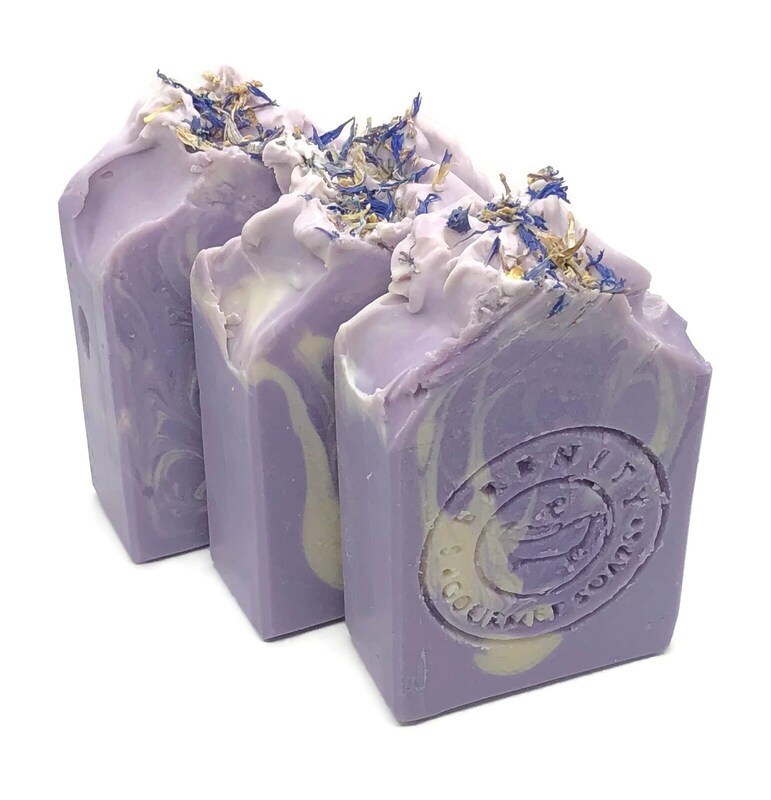 -Soap ingredients: Love, Distilled Water, Extra Virgin Olive Oil, Coconut Oil, Sodium Hydroxide ( saponfying agent), Avocado Oil, Canola Oil, Fragrance Oil, Kaolin Clay, Oatmeal Colloidal, Skin safe colorants, Corn Silk Flowers. Angela makes the best soap in the U.S. 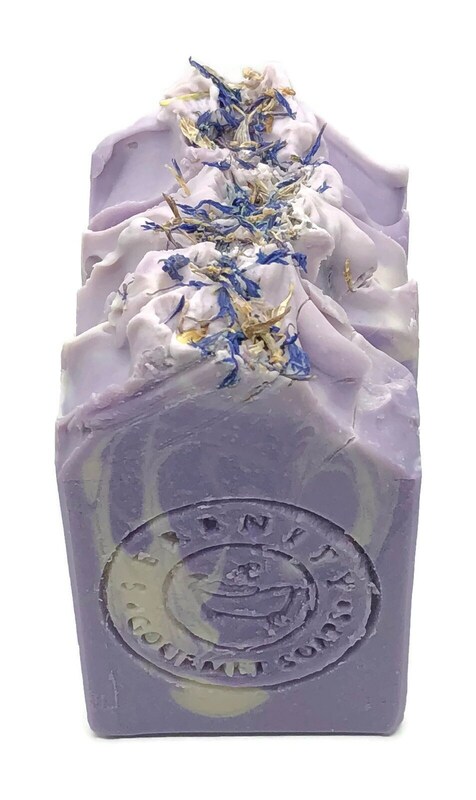 Switching from store soap to Serenity Gourmet soaps was the best thing I ever done for my skin. Thank you Angela for making such fantastic products. Soft lovely fragrance. Ms. Angela makes the best high quality products that I've come to know so well. 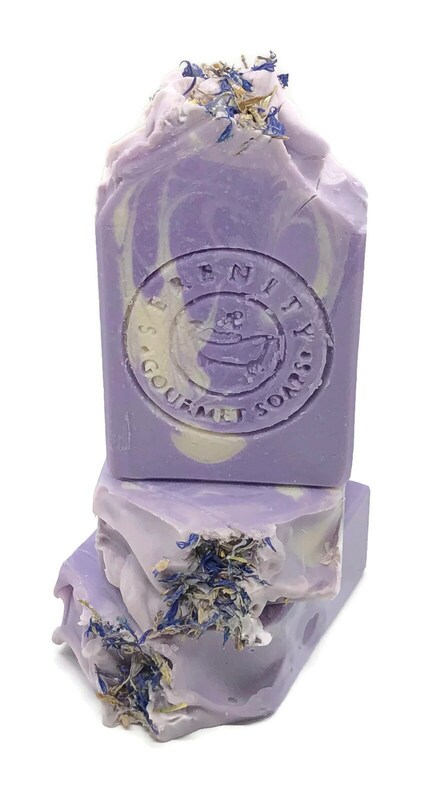 I've been using Serenity Gourmet Soaps Products for over a year now and love all the products plus the way they leave my skin so soft. A nice, warm, calming fragrance. Haven't used it yet, but am excited to. Seems like a good relaxing one to wind down with! Shipping was so fast and the samples i got are so helpful bc I want to try all the soaps from here!